Q: What does Teva do? [Teva offers] nature-based experiential education programs in a number of different ways. One of our main programs is a residential nature classroom program for Jewish day school kids who come to the woods for four days at a time. We work with them in the woods, it could be their first time stepping off the bus into a more natural environment, [and] four days later it could be a very transformative experience for them. We work with different Hebrew schools and we work with congregations in the community at large. Our programs can run from anywhere from an hour to four days. Q: Do Jewish values guide your work with the environment at Teva? Absolutely. At Teva, we see our connection to the Jewish environment as a basis and a way of informing our environmental discussion. The values that we have as Jews, [to be] Shomrei Adamah, guardians of the earth, are fundamental. And so we look to Jewish tradition for how it speaks to our place in the world as being responsible and being engaged and understanding the beauty of the earth. Q: Do we have an obligation to the environment as Jews? Why or why not? We absolutely have a responsibility to be engaged in this world in a meaningful way, and environmental issues are some of the great questions and challenges facing us this century. Looking back in our Jewish tradition we can find that there are many relevant things that the rabbis spoke about in reference to this in our text, in our stories. I believe that fundamentally the Torah is a reflection on the world, and the world is a reflection on the Torah and they’re engaged with each other in a very active way. Q: How is Tu B’Shevat relevant to Jews today? Tu B’Shevat is relevant because oftentimes we’re faced with a quicker and quicker world and I think that Tu B’Shevat asks us to slow down a little bit. It asks us what is permanent and what does it mean to settle in an area. We learn in our tradition that we’re not supposed to even eat of fruit trees until the fourth year. What does it mean for us to think about being in a place that long in American society? What does it mean to tend the land that we’re at? That’s one piece. Another potential avenue is that it says in our tradition that a person is a tree of the field—so how do we understand ourselves in relation to the environment and in terms of the changes that are going on? 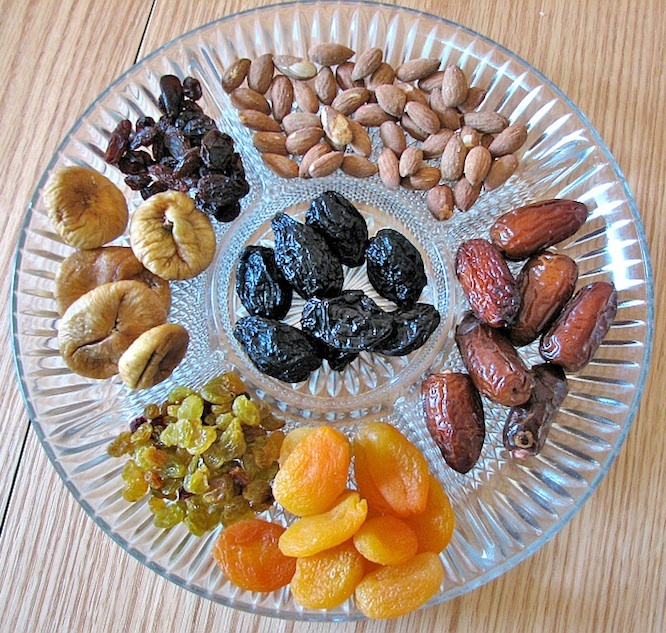 Q: What is Hazon, or Teva, doing to celebrate Tu B’Shevat? We’re doing a whole number of programs including a Tu B’Shevat seder at Google, speaking at schools, working with young adult programs in New York City and San Diego. Q: In light of Tu B’Shevat being the new year for trees, what exciting projects does Hazon, or Teva, have planned for this upcoming year? We hope to grow our New York bike ride to be bigger and more fun this year. We’re involved with writing curriculums for the outside world, and we’re also expanding out regional work with Hazon across the country.